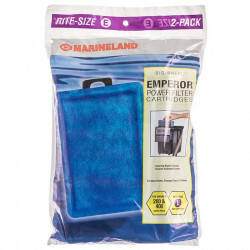 Marineland Eclipse Filtration Systems filter cartridges are designed for optimal performance and incredible ease of use. Rite-Size H cartridges feature Marineland's Black Diamond Premium Activated Carbon for excellent mechanical and chemical filtration. A pad of double-thick polyfiber mechanically filters out floating waste and debris before allowing water to pass and be chemically filtered through Marineland's Black Diamond Premium Activated Carbon. Rite-Size cartridges feature a patented ribbed backing to maintain their shape, ensuring even distribution of activated carbon for maximum water-to-carbon contact. For best results, change cartridge every 2-4 weeks. Fits: Marineland Eclipse 2, Eclipse 3 and Glass Systems 25, 29 & 37. Best price I've found for these authentic Marineland filters. Buy in bulk and save! I normally get these filters at a local pet store but they did not have them so I checked Pet Mountain and they of course had them, and they were cheaper, even with shipping. Stock up while filters are still available. 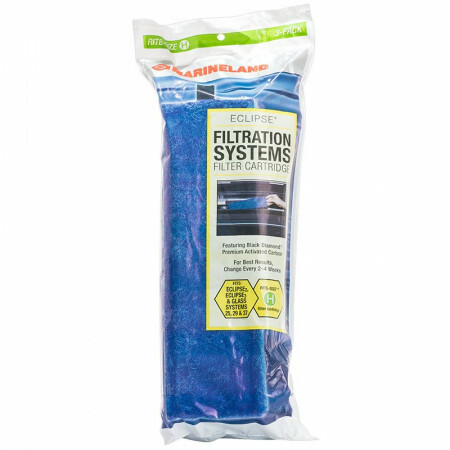 I needed parts for my Eclipse system and found out from Marineland that they no longer make the Eclipse Filtration & Illumination System line. Size H has been removed from the inventory of many of the big retailers due to that reason. Filter still being made but for how long? I needed to get the size H filter by Marineland and it was out of stock at several store locations of national chains for several weeks. It was also out of stock at several aquarium shops. None of them knew when they'd get more, only saying they were on order. Even one of the national chains had them backordered. I found them here at Petmountain. They were in stock and shipped the same day. I was able to buy 2 three packs of filters for less than I can buy one package locally, even after shipping was added! This was the best price I have found for these filters. No more running to the local pet stores on the chance they might have them. Thank you. Hard to find in stores, but I'm happy to see they're on here. After trying a new filter and new LED hood assembly and hating it, I'm back to using the eclipse2 and these filters. Good to know I can stock up for a while longer! These are the only filters that will fit this system. Fortunately they work GREAT! Have used for over 20 years. SHOULD have been buying from PetMountain ALL this time. Even with shipping it is only one third !!!! (1/3) the price. Lowest price! Free shipping! Shipped the same day! Just like the title says! I bought 2 cases of fish tank filters that my local fish store wanted 10 dollars a filter. I bought 48 of them at petmountian.com for $75.04 with free shipping!!! Shipped out the same day I ordered! I will definitely buy from them again! Awesome!!! Thanks guys! These filtes are great. They perform very well in our fish tank (40 gallon). The price at Pet Mountain is less than half of the cost locally! 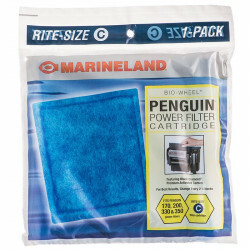 I have been buying this filters for a year now, for a Marineland Eclipse 2 aquarium. Works great every time. Best of all, petmountain.com offers it at half the price of retail stores, so I will be back for more. It's easy to replace just one filter and the price is very good too. If you're considering any Eclipse tank, fear not, the filter Marineland filter pads make one less messy job you have worry about. I have been using these pads for well over 12 years and swear by them. The construction is solid, and the quality of the materials first rate. The coarse fiber pad on top traps the larger particles, while the fine carbon granules filter the water's chemicals and gases. The cartridges last from 2 weeks to a month depending on the size of tank, quality of water, the number of fish, amount of algae, etc. Keep an eye on the pads to get an idea how long yours will last. One tip: though the pad may look relatively clean, the hidden carbon could be coated and ineffective. I've noticed that the water level over the pad will rise -- almost to the rim -- which could be a mess should the filter area start to overflow. The lesson, keep the pads fresh. If you buy from Pet Mountain, the 3-packs are the deal and you'll soon learn to buy several 3-packs to save on shipping. Easy, effective and fast to change -- well worth the money. The filters arrived quickly as promised. Great deal! Highly recommend seller. Marineland Eclipse 2/3 3-pack much cheaper than competitive. great product. Presuming you're already an owner of an Eclipse System, you know the ease and performance of the Eclipse filtration system. 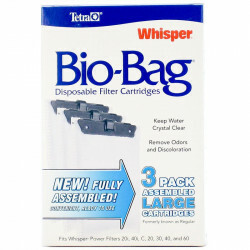 How easy can it be to swap out your aquarium's filter fabrics and charcoal in one easy step? I have owned some sort of Eclipse system for well over 13 years and vow by them. Buy these by the three pack from Pet Mountain and the savings is great too. 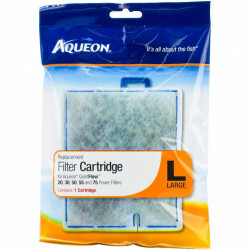 One thing though -- even though the filter may still seem clean, if you see your water level rising within the filter chamber, change out the filter pad as significant crud has been trapped inside the filter pad.I love these. Timely shipping and price was a third of my local pet shop . My tank is crystal clear thank you! awesome nighttime viewing, i love it! Great price. Best price I have seen on these filter packs. To bad they don't sell them in bulk quantities. This is a great product! Eclipse filters work great. The best money can buy! These cartridges are pretty handy little items. Much nicer than the old days of corner filters w/ an airtube and loose carbon and floss. Over all these filters are great. Many saltwater hobbyists complain that an eclipse 2 or 3 tank does not provide enough filtration and insist on protein skimmers and the like. However, I have had a saltwater aquarium for many years and these filters keep my tank clean and healthy. My tank is thriving and my invertebrates and vertebrates are very happy. This filter system is the best I have ever used. I highly recommend it. It is very effective, easy to install and remove. Our fish love their filter! These filters are great!! They keep our water crystal clear and our fish healthy!